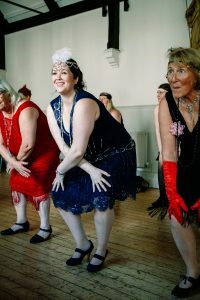 Book one of our private vintage dance classes in London, Cheltenham, Oxford, Reading, Henley, Oxfordshire, Bath, Bristol, the Cotswolds, Manchester, Leeds or the Peak District! – We may be able to travel to other areas on request. 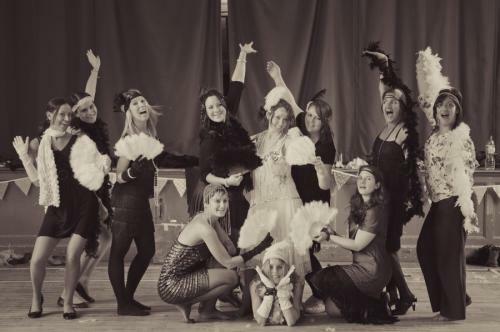 Organising a hen party, or looking for an unusual 40th birthday idea, or even an idea for someone’s 30th, 50th or 60th birthday treat? 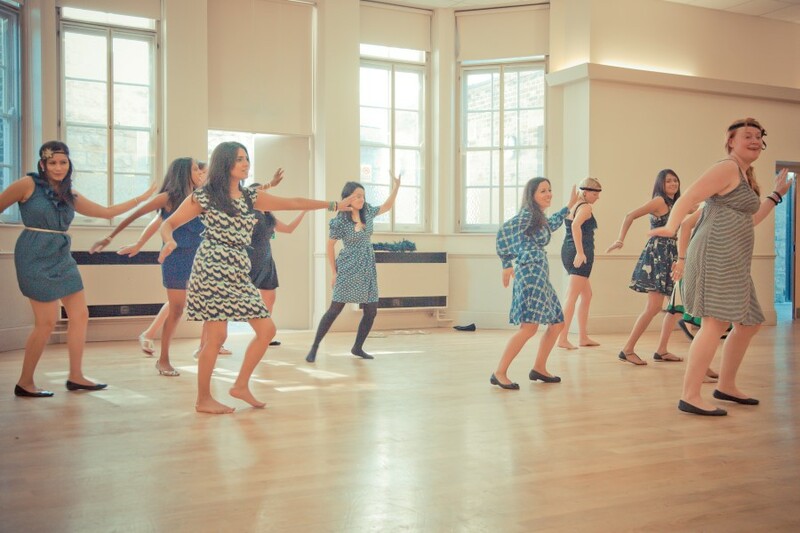 Why not book a private dance class for you and a group of friends? 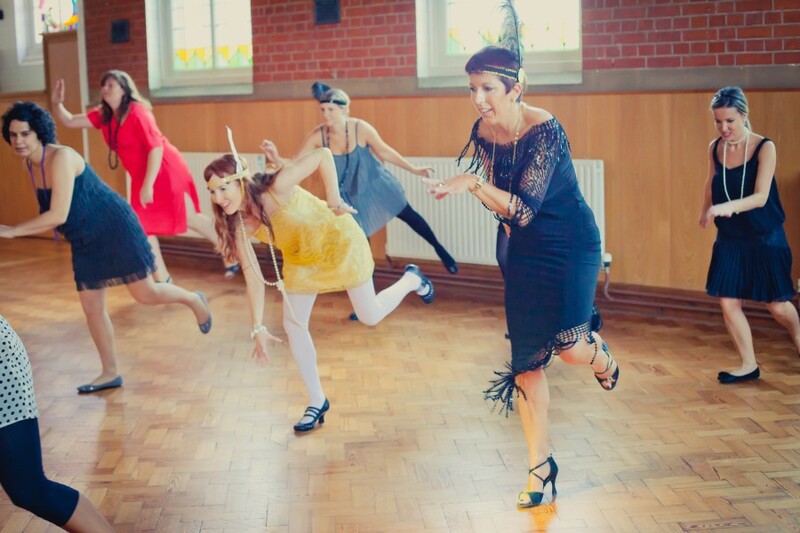 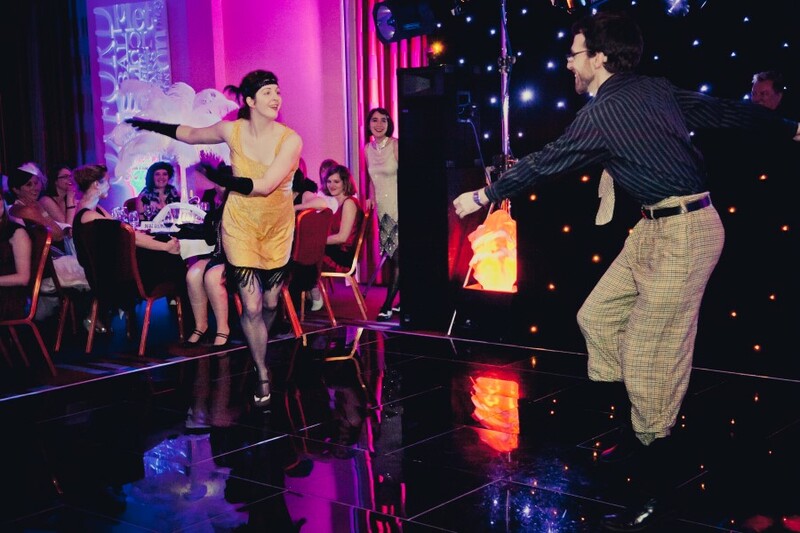 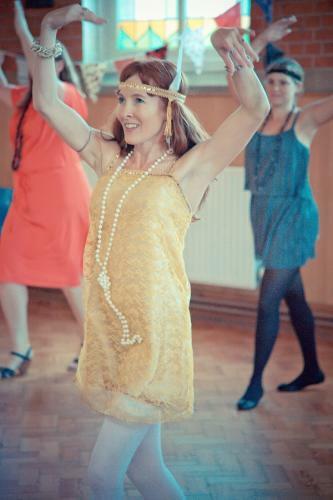 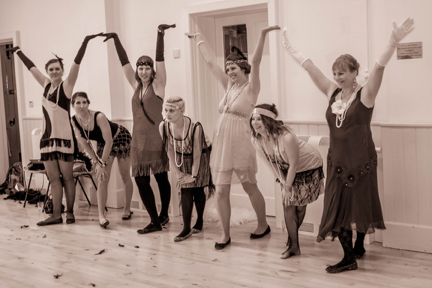 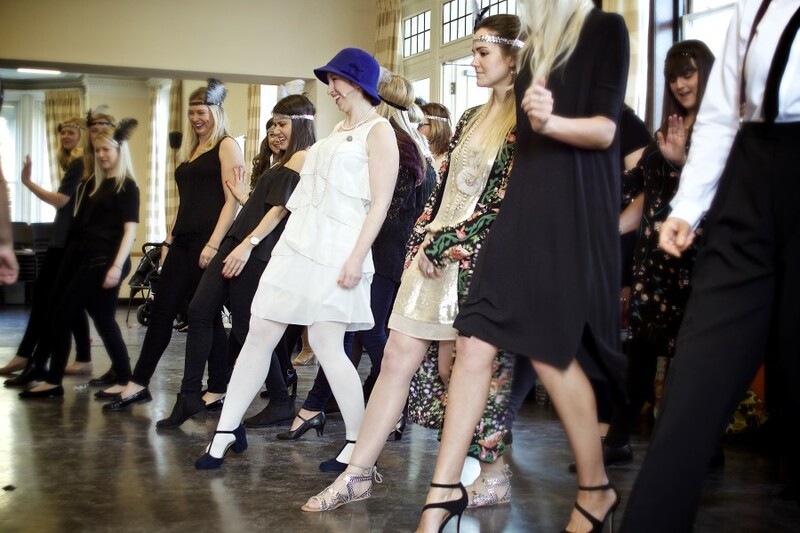 You’ll learn authentic vintage dance steps from the era of choice, then a fun choreographed routine that you dance all together, just for fun – or hen party groups, you can dance it at the wedding if you dare! 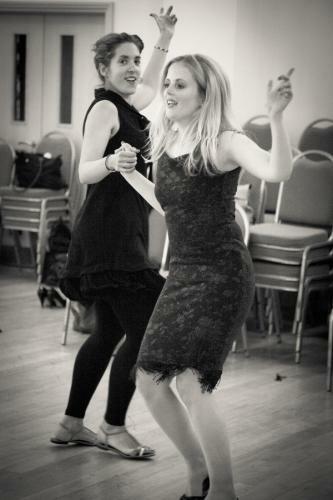 All abilities and ages are welcome – we’ve had participants from age 8 to 80 at our dance classes before. 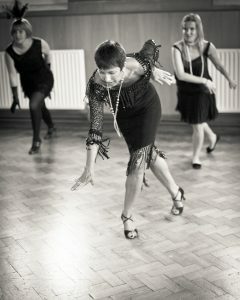 Often Grandma or Aunty will surprise you by being the best dancer! 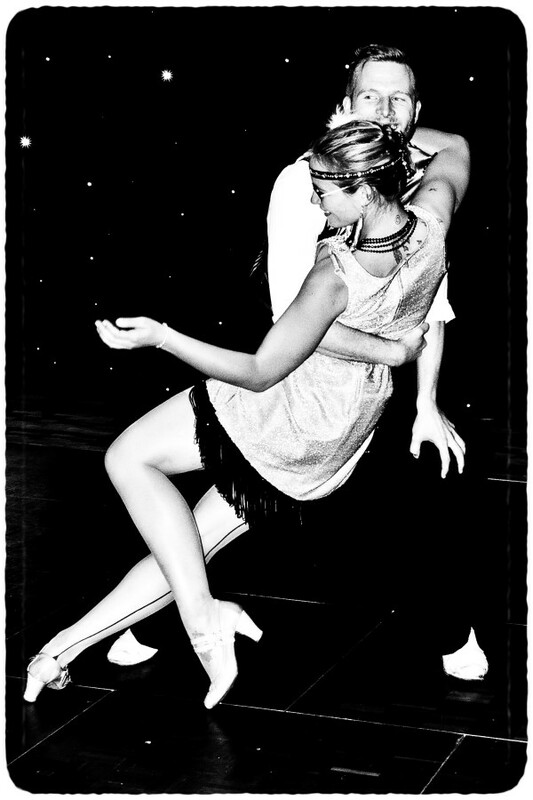 Choose a classic or vintage musical of your choice, such as Grease, Oliver!, Mamma Mia, Bugsy Malone, The Boyfriend, Anything Goes, Cabaret, Chicago, Guys and Dolls, or make a request when you enquire and we’ll see if our dance teacher can choreograph a routine especially for you. We can also teach partnered Charleston dance and lindy hop with two dance teachers, by request – enquire here. 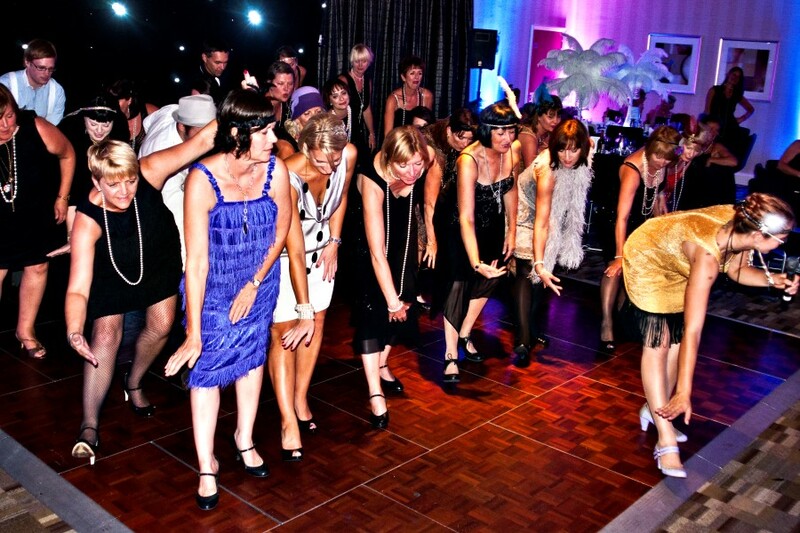 Contact us to enquire about date availability and book. 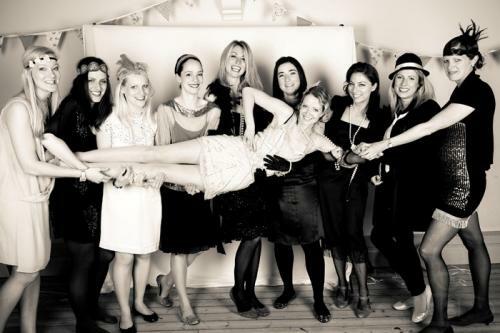 Having a bigger party, wedding or event? 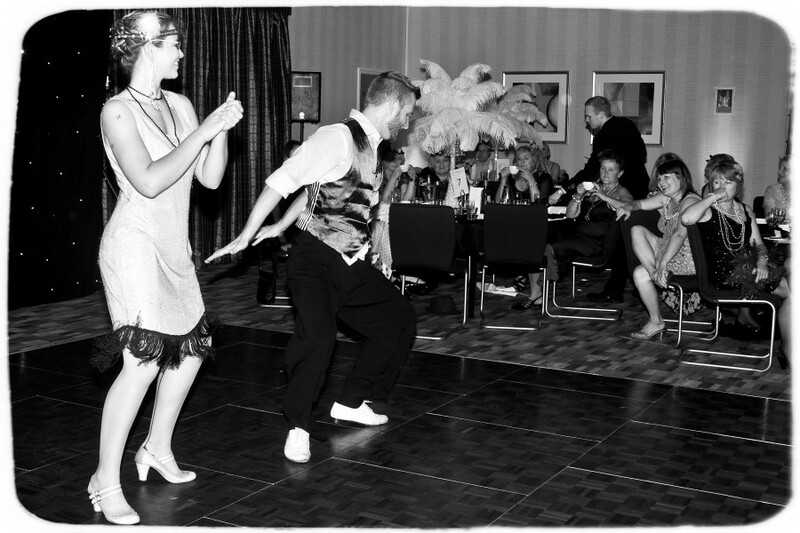 You can have a dance class on the dance floor at your event with a performance demo. 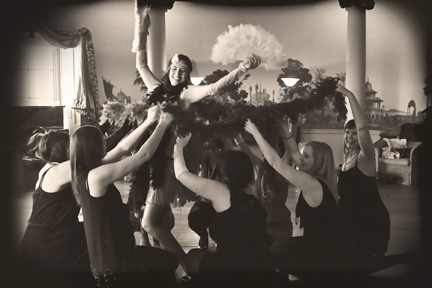 See our page on dancers for events and weddings for more information.